7th April is World Health Day, and the theme this year is "Universal Health Coverage: Everyone, everywhere". This is about about ensuring all people can get quality health services, where and when they need them, without suffering financial hardship, and for a shift from designing health systems around diseases and institutions towards health services designed around and for people. At Imara, we are passionate that mental health and support services should be more freely available and accessible to all whenever they may be needed, for example, in the case we know well, during the long term recovery process from trauma of child sexual abuse. This is one of the reasons why we decided to run our #SelfCareWithImara campaign throughout April - to share some of the resources and tips we have learned from our work with children, young people and families, to make them accessible for everyone as a source of self-help and self-care support. Read more about our month of #SelfCareWithImara in our blog post here. Another good source of self-help, self-improvement and wellness advice and techniques are mobile health apps. Here is a list of some of our favourites that we have tried, come across or been recommended. All of the apps listed below are either free or offer a decent amount of free features. The suggested benefits of meditation can include helping you to reduce stress, manage anxiety, sleep better, focus concentration and develop happier, healthier relationships. Headspace is an app that helps you learn to meditate with a range of walk-through session . The free trial gives you more than 15 sessions to get started, including 10 Basics sessions to introduce you to meditation, mindfulness and the Headspace style. Insight Timer is also a meditation app, which offers thousands of guided sessions completely for free as well as music tracks, ambient sounds like ocean waves and raindrops and bells with a timer so you can customise your meditation. The app also offers strong community elements and allows you to track your stats and milestones as part of the free package. Calm is another meditation and mindfulness apps. For free, it offers a range of meditation packages which walk you through daily sessions ranging from 3 to 25 minutes long focusing on specific aspects (e.g. 7 days of calm, sleep, gratitude, managing stress, etc.) as well as a handful of sleep stories (bedtime stories for grown-ups) read by familiar voices, such as “Blue Gold” read by Stephen Fry. Happyfeed is a gratitude journal app, which is based on positive psychology. It is a private journal which asks you to record just 3 happy moments or things you are grateful for each day. This is believed to form a healthy habit of noticing and appreciating the little good things, which improves your emotional wellbeing and happiness generally. Happyfeed is completely free and allows you to add photos and view any past day. It is fully private so has no sharing or public posting options, as it is about you and for you. Grateful is another gratitude journal app. This one allows you to post 15 free journal entries before a one-time payment to upgrade to the full version. Even in the free version, Grateful offers more bells and whistles than Happify – you can set reminders so you never forget to post a daily entry, it starts each entry with a prompt to help you think of ideas and get writing, and it also allows you to customise your timeline and prides itself on its interface. Compared to Happyfeed, Grateful doesn’t use cloud storage and has the option of adding a passcode in the premium mode so may be the better option if you are concerned about security and privacy of your journal. Happify offers a program of games, activities, quizzes and tools based on science (positive psychology, mindfulness and cognitive behavioral therapy) to reduce stress, overcome negative thoughts, build greater resilience and generally improve your emotional wellbeing and become happier. You can choose from different tracks to follow such as “Conquering negative thoughts”, “Coping better with stress”, “Building self-confidence”, “Fueling your career success”, “Achieving mindfulness through meditation”. While the free version is more limited that some other apps in this list and the full subscription is a little pricey, it can’t hurt giving the free version a go and seeing if it works for you! Good Blocks is a game app that is based on principles of cognitive behavioural therapy. You have to flick away negative or bad thoughts as they come down the screen and pull towards you happy or positive thoughts. This is designed to train you to quickly and automatically reject your negative thinking in real life, improving your mood, self-esteem, anxiety and general functioning over time. Remente markets itself as a self-improvement and personal development app. It is based on psychology, neuroscience and brain training, and aims to help you achieve your goals, manage stress and balance your life. It offers a goal-setting feature, a day planner, a life assessment tool to help visualise and see the balance across areas of your life, a mood journal to help realise what affects your mood and wellbeing, and a library of courses and exercises from experts on topics such as “self-Appreciation” Time Management” and “Mindfulness”. It is free to download but does recommend purchasing a premium subscription to unlock all features. We’re not sure what is included for free – try it out and let us know if it is still worth recommending! 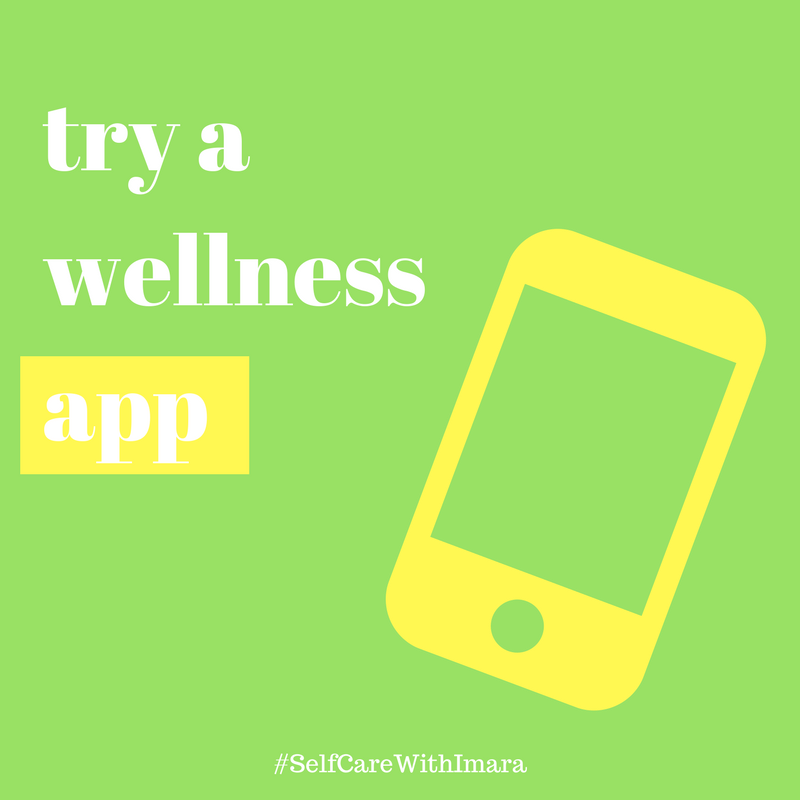 Please let us know about any other wellness apps you would recommend, especially if they are free or easily affordable, and we will add them to the list!